Over the last weekend, I decided to for waxing at BMIC which not only doing nail services but also offering waxing service as well. 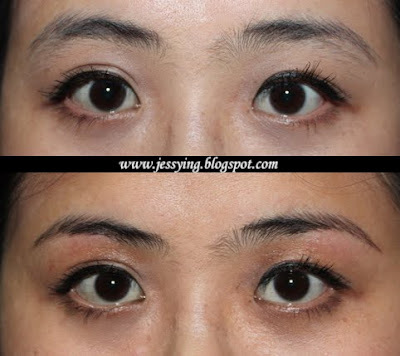 I remembered my first time oh eyebrow waxing is in Benefit counter last year. 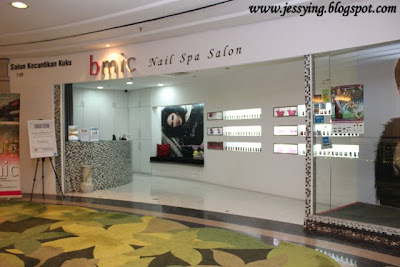 This time I am going to have a private waxing session at BMIC Starhill. Ops did I mentioned where am I going to wax? Well I am going to wax my eyebrow and above my lip area. So I was lead into a private room and make to lie on the bed before the waxing session started. Kelly, the therapist looked at my eyebrow shape first before she proceeded to took a little bit of warm honeywax from the pot. Quickly she applied the warm honeywax on the area that she intending to wax. Then she put a strip on the area she put the honeywax. Pressing it hard to make sure it its properly stick. Suddenly she pulled up the strip,at first it is a little bit painful because I did not expect that coming. Haha look at my expression! Quickly Kelly applied some kinda of gel on my skin to give soothing effect. I was told that the action in pulling out the strip must be very fast at one go or else it would be very painful for us. Then she gotta trim a little excess of the left over eyebrow and to shape i properly. Hula, within 10 mins I got a pretty nice eyebrow shape already ! Yes it is a little painful but I was told this waxing could prevent the new growth of eyebrow hair for at least 3-6 weeks! So now I do not need to trim it for next few weeks ! For the lips area, there are some fine tiny hair on my upper lip. The method of applying and peeling of the honeywax is the same. However this time around it is not so painful compare to my eyebrow waxing because our eyes are the most sensitive/fragile area on our face. After some waxing services, I went for the hand paraffin treatment. It is one of my favourite service because I like the feeling of my hands being soak into the warm wax just like how I like my feet to be soaked into warm water after a long tiring day. This paraffin wax is peach flavour. Before I dip my my hands into the warm paraffin wax (temperature over 35 °C), I opened up my fingers so that paraffin wax can wrapped around each of my fingers. I dipped around 3 times and each time each layer should harden slightly before a thick layers of paraffin wax built up on my hands. Then I was told to wear a plastic hand gloves to lock in the moist. And to retain the warmth of the wax, I was given a pair of mitten to to wear. I waited around 30 minutes for the paraffin to be cooled and dried before the therapist removed the paraffin wax by peeling it off from my hands. Haha ! ur expression so funnyyyy ! Nice pic !!! I still prefer to have eye brows done by threading, it says it shape for 3 weeks or sometimes more and I only pay about 7.00 for a beautiful shaped brows. Caroline : Haha it is !! How much does it cost for the eyebrow waxing? ?